32 Amp, five core. 3 Phase, “Heavy” Extension Leads. 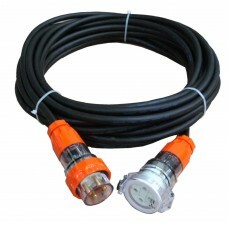 The 32 amp five core “heavy” extension lead. 32A 5 Pin 3 Phase Australian Standard Heavy Duty Extension Lead Length: 5 m Au..
32A 5 Pin 3 Phase Australian Standard Heavy Duty Extension Lead Length: 10 m A..
32A 5 Pin 3 Phase Australian Standard Heavy Duty Extension Lead Length: 15 m A..
32A 5 Pin 3 Phase Australian Standard Heavy Duty Extension Lead Length: 20 m A..
32A 5 Pin 3 Phase Australian Standard Heavy Duty Extension Lead Length: 25 m A..
32A 5 Pin 3 Phase Australian Standard Heavy Duty Extension Lead Length: 30 m A..
32A 5 Pin 3 Phase Australian Standard Heavy Duty Extension Lead Length: 50 m A..